Services: Hand lettering, hand painted lettering, hand painted mural. Rusty Bellies is family business based in Tarpon Springs Fl. Our collaboration featured several art projects including this hand-painted wall mural. Rusty Bellies was going through remodeling. During this time, the businesses reached to me with several ideas for adding artwork to their walls with the goal of beautifying their restaurant. The businesses wanted to create bold and colorful artworks to express their personality and share their message. We came up a game plan for installing large scale artworks that reflect who they are and inspire the community. 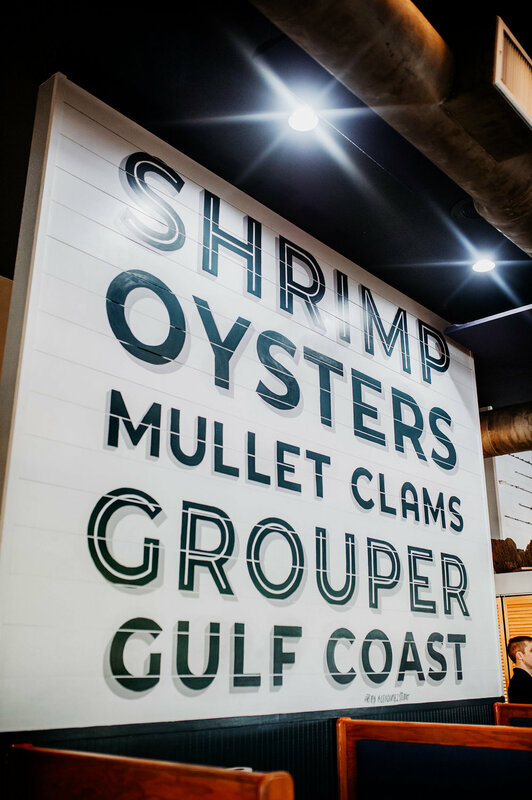 The lettering was hand painted on a shiplap wall. 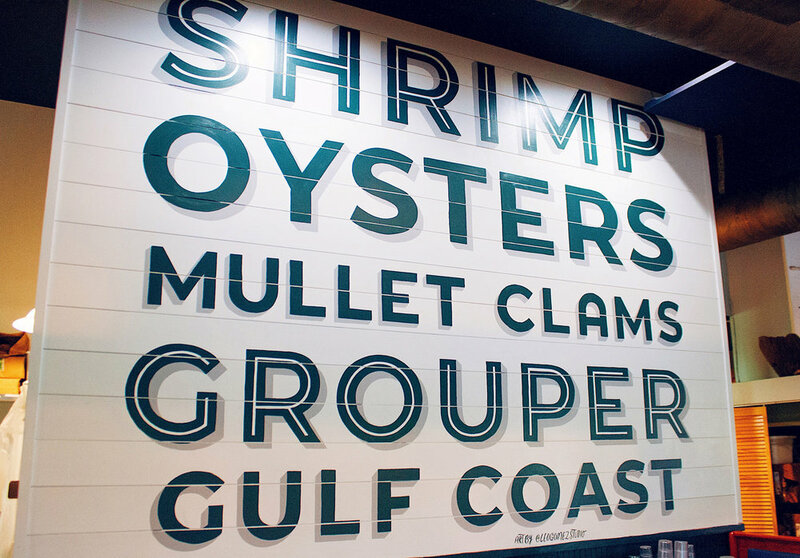 Featuring the vintage lettering and restaurant’s best local seafood items. Hand painted on 2 colors with the goal of creating a look and feel similar to the lettering found in the fish boats in the area. The walls sits in the middle of the restaurant and makes a big impact in the customer experience.